It’s my favorite meal, and I tend to go a bit overboard if I ever happen to have breakfast guest. I love dishes that can pack a punch when it comes to impressing those I’m serving, but I also don’t like to be stuck in the kitchen when I have visitors. I love something I can put together the night before and just stick in the oven the next morning, making this breakfast bread pudding pretty perfect. I broke into my stash of strawberries I froze over the summer when those beauties were in abundance. I like to buy them when the price drops, slice them and freeze them for the colder months. While visiting the California Strawberry farms this summer I learned that the growers actually choose the juiciest, ripest berries to freeze because those are the ones that often have a harder time shipping fresh. WHich makes those frozen California berries a great option. 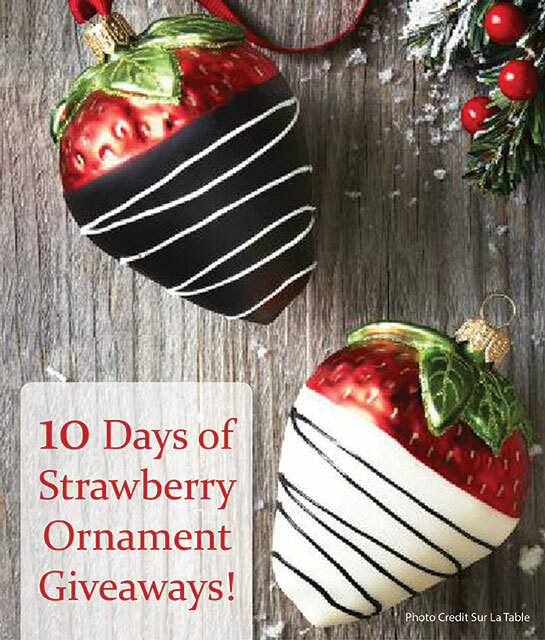 Speaking of those beauties, California Strawberry Commission is giving away 3 of these adorable strawberry ornaments every day for ten days. Head over to the California Strawberries Facebook page to enter! Head over the California Strawberries In The Kitchen Blog for the recipe! I love bread pudding. Total, perfect comfort food! And with strawberries – nice! 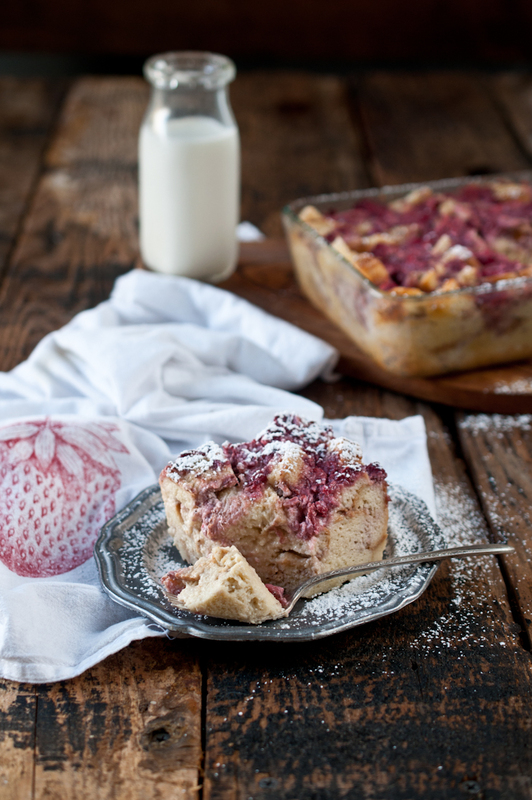 Bread pudding just makes me think Christmas! Love this! I could have this every single morning! And luckily we can since we’re in CA and we can have strawberries all year long! Oh, I love bread pudding! Love that you made it with strawberries! 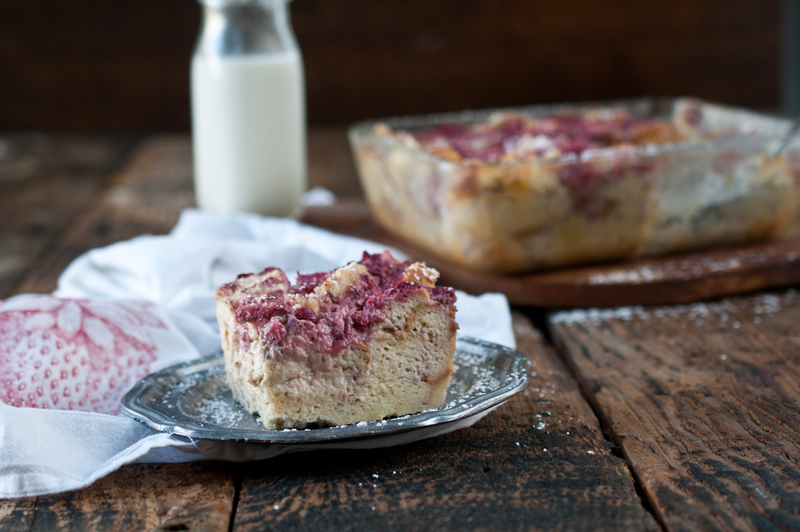 Being a huge fan of bread puddings, I am totally making this! Love those ornaments AND this bread pudding recipe idea. 🙂 Always great to have more uses for frozen strawberries than a smoothie! This looks amazing Jackie! YUM! I’m all for new ideas for breakfast – I’m pinning this one! Oh that just looks to die for! I’m a total breakfast girl too. My hardest decision is always sweet or savory breakfast – I’m pretty sure this would definitely be my pick! Happy New Year, love! Leave a Reply to Anna @ Crunchy Creamy Sweet Click here to cancel reply.